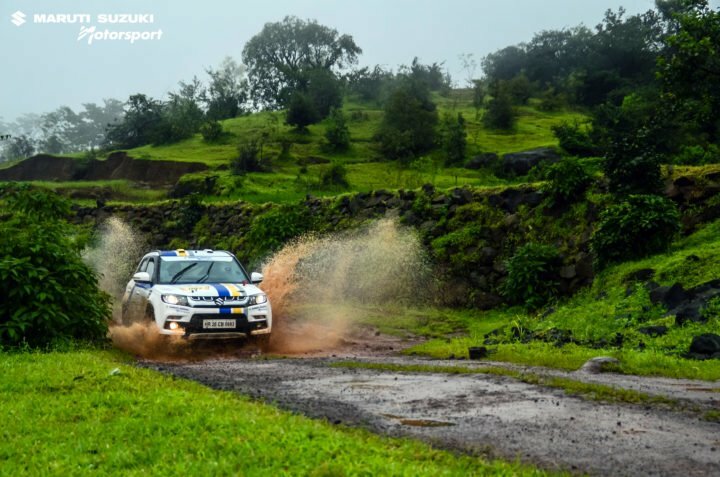 Maruti Suzuki Dakshin Dare is known as one of the toughest and most thrilling motor-sporting events in India. With participants from pan-India, Maruti Suzuki Dakshin Dare 2018 has turned out to be bigger and better. 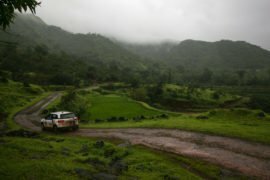 The rally has had some of the most scenic views yet the most challenging terrains for the 140 participants. 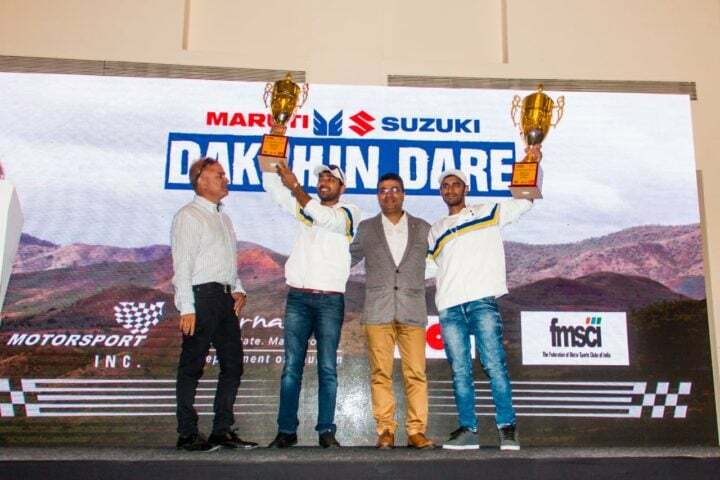 Maruti Suzuki Dakshin Dare 2018 was flagged off from Bengaluru on 2nd September 2018. 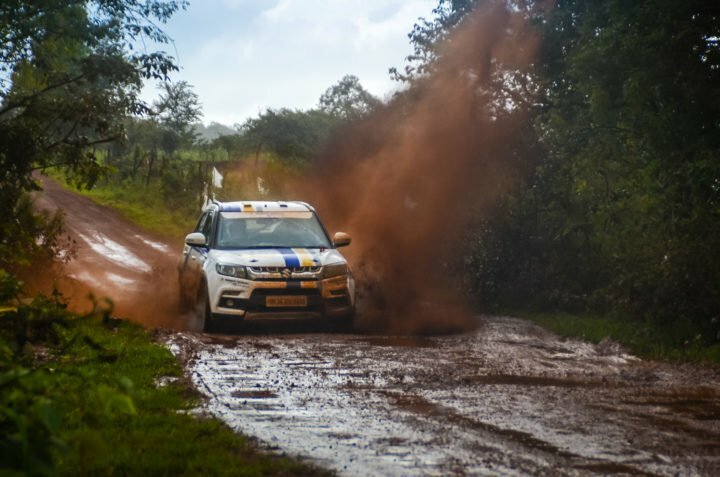 The rally covered a distance of 2,000 Kms over a span of 5 days over a diversity of challenging terrains putting the vehicles and their enthusiasts through a vigorous test of their driving skills. The rally crossed the borders of Karnataka and Maharashtra before coming to an end in Goa. 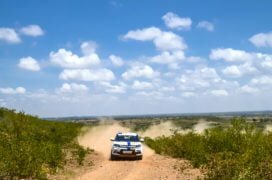 Team Maruti Suzuki Motorsport participated with 4 vehicles in this rally. The Maruti Suzuki Grand Vitara was driven by Suresh Rana and Chirag Thakur (navigator), Maruti Suzuki S-Cross by Samrat Yadav and Karan Akuta (navigator), and Maruti Suzuki Vitara Brezza had multiple entries by Sandeep Sharma with Anmol Rampal (navigator), and Dharam Pal Jhangra with Chandrashekhar Rana (navigator). 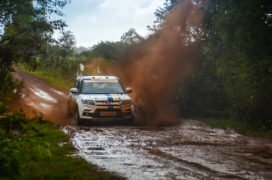 Throughout the rally, Team Maruti Suzuki Motorsport maintained a strong position through the most challenging conditions and terrains. During the first leg of the event, Suresh Rana suffered a minor setback because of a punctured tyre, but despite that, the team performed well and emerged as a strong contender. With the intent of tackling extreme terrain challenges, the Maruti Suzuki Vitara Brezza driven by Dharampal Jangra was equipped with an All-Grip System (AWD) and the custom coded ECU (Engine Control Unit) which was also evident in the modified S-Cross driven by Samrat Yadav. 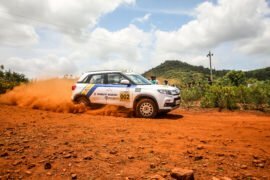 The Maruti Suzuki FWD Vitara Brezza, the compact sports SUV, also had everyone stunned with its performance and endurance in the rally. 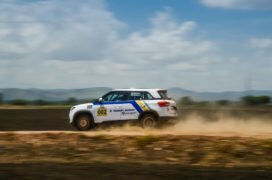 Vitara Brezza has been doing pretty well in the market and so was its performance in the rally. While the car didn’t go through extensive modifications, it came out top in the T2 category in Xtreme driven by Sandeep Sharma. The event concluded with a comfortable drive down to Goa for Prize and Award distribution ceremony. 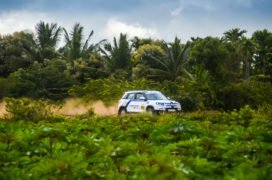 Team Maruti Suzuki Motorsport has performed consistently well throughout the event earning their top stops in T1 and T2 category. Samrat Yadav and Karan Akuta, driving the modified Maruti Suzuki S-Cross. finished securing the first position, in the T1 Category while Sandeep Sharma and Anmol Rampal, driving the Maruti Suzuki Vitara Brezza, attained the first position in the T2 category.